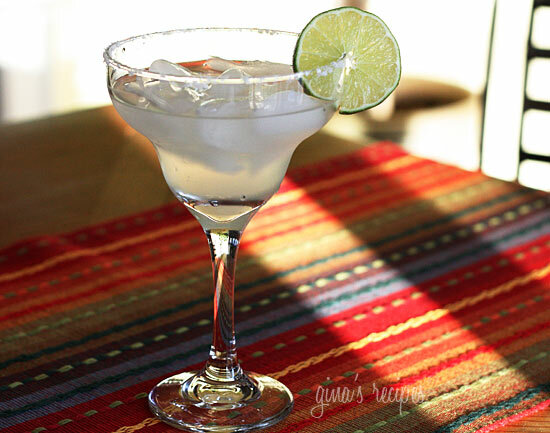 If you’re celebrating Cinco De Mayo with cocktails, here’s a lighter skinny margarita recipe. Serve this on the rocks, Olé! and is the creator of the much hyped Skinnygirl Maragarita. Combine all ingredients over a glass of ice. People, stop trying to mess up a good thing. Crystal light, club soda … Meh. A true Rita has certain components… Premium clear tequila, real FRESH lime juice & orange liquor…. Ice & some salt on the rim. Anyone who needs overly sweet mixes and artificial flavors, just dosent like tequila or margaritas…. The piña coladas are to the left. If you muddle in cucumber and jalapeno it's super yummy! So good! Used 16oz glass filled with crushed ice. Followed instructions, then topped off w/ diet Sierra Mist. So good! Better than most restaurants! Thank you Gina!!! Crystal Lite has all that artifical crap! Try using lemon-lime Zevia soda. Found at Super Targets and Whole foods. Zevia is great! Lots of different flavors. you can get coupons on their website and on their Face Book page. Awesome! This is not a sweet margarita, perfect for sipping. Thanks for sharing!! Or try Sinless Margarita mix with Stevia, only 5 calories per serving! If desired, run some lime juice along the rim of the glass and dip into a dish of salt or sweetener. Mix all ingredients together. Pour over 1 cup of crushed ice. Optional: Garnish with lime slice. Enjoy. Serves 1! 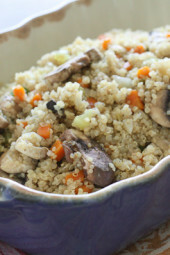 This recipe is by far my fav…it is delish! Is the packet not pre mixed in water??? well, I would like to say my margarita was delicious, but it was just foul!!! Couldn't find the orange liquor….so thot maybe we could go with out it….nope!! It was awful!!! So, we wanted to try the pom martini, and can't find the pom juice in our little town….we tried tho!!! I just had to share….I just purchased at Wal-Mart the Great Value brand a light drink mix called Lime Margarita. It's great. I made a glass and added a shot of tequila. Not bad a 16oz margartia…for two points!!!! Also noticed Bethany F has a skinnygirl margarita pre-made…it was $12.50 and 37.5 calories for 1.5 oz….not a great deal on points. 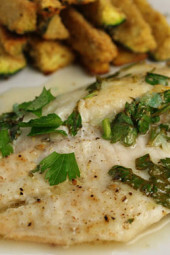 Hi, I've used GV Lime Margarita mix too, It was great! But I cannot find it anymore! Any ideas? Thanks so much for all you do. You make losing weight fun! I add 1/2 tsp of agave nectar to sweeten it a bit and when some of the ice melts, the drink is great! Oh my God under the poits plus the margarita is only 1 POINT!!!!! I must be doing something wrong! I thought Bethany said to use juice from 4 limes NOT 1? I've been drinking the crystal light hungry girl margarita for a couple years now…. what can I say… I'm an addict. However, I do recommend trying different flavors of crystal light though. I love using the strawberry for a strawberry margarita and the fruit punch is to die for. Try whatever flavor of crystal light you enjoy, mix up a drink and enjoy the moment! This is an awesome site. I just happened upon it looking for Skinny Girl Margarita. I LOVE margarita's but not the calories. I replaced the mix with Fresca. No calories, no sugar, and it tastes great. Tequila, splash of Orange Liquer, limes and Fresca. YUM!! I've made this all different ways. I ended up making it a "frozen strawberry skinny girl marg" – same as above just added it to a blender with ice and strawberries and a half packet of splenda. You guys are the best! Thanks for looking up the points for a margarita. I'm sure the restaurants are a whole lot bigger than 4 oz! And thanks for sharing all your margarita recipes!! Hey Gina and all-I make a great margarita-like-drink…not exactly a margarita but it is low calorie and delicious! It is also not too strong, just the perfect amount of liquor.. it is 1 oz teguila, 1oz lemonade crystal light, 1 oz orange juice, a splash of peach liquor and a squeeze of lime! Shake well with ice in a shaker or just serve over ice! Yes, according to the Weight Watchers books, a 4oz Margarita is 5 points. However, a typical restaurant Margarita is much larger than 4oz. Hey Gina, On my WW etools a margarita is only 5 points for the real thing..
Lol! And she's getting all the credit! I'm a mojito drinker myself. Maybe I'll have a mojito tonight! My mint is out of control in my garden! This is how I've always made my margaritas. In fact, I think I got the recipe straight of the tequila bottle way before Bethenny got famous. I think a typical margarita using mix is abotu 10 points. @latoya, lol! Two would def. put me over the edge! yeah, this is really strong!! guess, my liquor intake for the day would stay at 4 points because i could only stomach one of these. Blend all together with ice. Your website is great! I love the recipes and the photography is beautiful. You have multiple talents! South of the Border has a diet mix and is pretty good for those who like less of the tequila taste and it is 0 pts on its own so 2 pts after you mix it. This is a true, no questions asked, margarita… the only way that I'll drink them. And I do love a good margarita! It does make a difference to use quality tequila (my favorite is Hornitos), and I like to use Cointreau for the orange liqueur (you can use triple sec – but why use a cheap substitute if you're going to use a quality tequila?). btw, one of these margaritas is usually enough to make you all warm and fuzzy inside :), and two will definitely make you more than happy, lol! Oh! and another btw – quality tequila is less likely to make for a nasty hangover than cheap tequila. On Weightwatchers.com they say that a regular Margarita is 5 points. Lower than I thought but they add up. 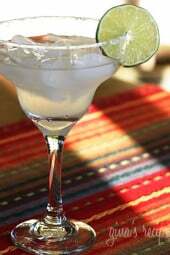 You can find the 2 point margarita recipe on hungry-girl.com. Yay Cinco de Mayo! I guess Bethany likes her Margaritas strong!! My friend recommended adding watermelon juice to it. Now I like the sound of that!! lol This is just how I made mine when I forgot sour mix. YUM YUM. I do like the idea of crystal light .would make it last longer. It is great mixed with club soda! I swap half a squeezed orange or the liquer usually too to make it more summery. 🙂 No idea if that helps or hurts the sugar content. I like the idea of Crystal Light!!! How many points? @Mel lol, well thats not right! but no, its not missing anything. That's how she makes it. I'd definitely recommend using the recipe mentioned above with Crystal Light. It makes a yummy margarita and is only two points! It helped get me through my major weight loss and not feeling deprived when gathering with friends. What flavor of crystal light??? Lemon?? This summer I plan on making a few Skinnygirl Margaritas. Yum! Somethings not right about this recipe…Is it missing anything…? Oh, and it says the serving size is 14 chips? 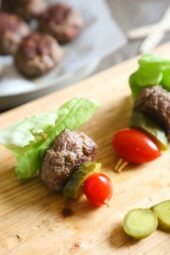 This is the first time i am here…Good to know about your blog..:) i am happy that i will get to learn american recipes and also can ask you all little queries which i always have about American recipes …. You can also make it with Crystal Light, tequila and water… its super good! !